The Chairman of the Board of First Things, Robert Louis Wilken, announced that Russell R. Reno is the new editor of First Things. 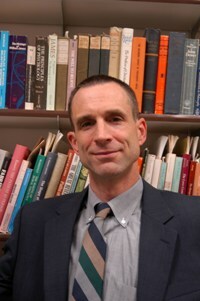 RR Reno is the sometime professor of theological ethics at Creighton University. He earned a doctorate from Yale University. Reno recently published Fighting the Noonday Devil and Other Essays Personal and Theological (Eerdmans, 2011). RR Reno’s the second successor to Father Richard John Neuhaus. Jody Bottum left the editorship a few months ago.